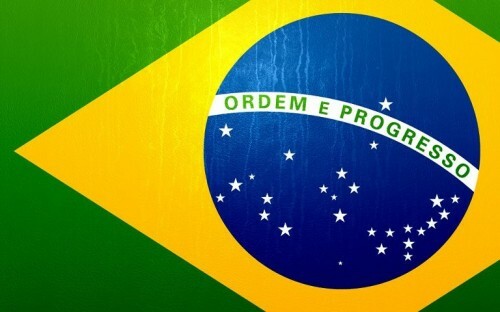 Cheap flights to Brazil: Rio de Janeiro & Sao Paulo for only €486! KLM now offers pretty cheap flights to Brazil! 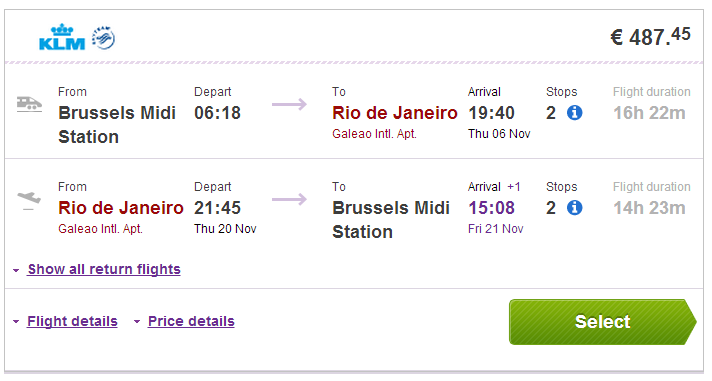 Return flights from Brussels Midi train station (airport code ZYR) to Rio de Janeiro or Sao Paulo will cost you just €486! If you want to book this trip you must start your journey in Brussels where you get the boarding card and take the high-speed train to Amsterdam (included) and fly from there. It’s not possible to fly directly from Amsterdam. 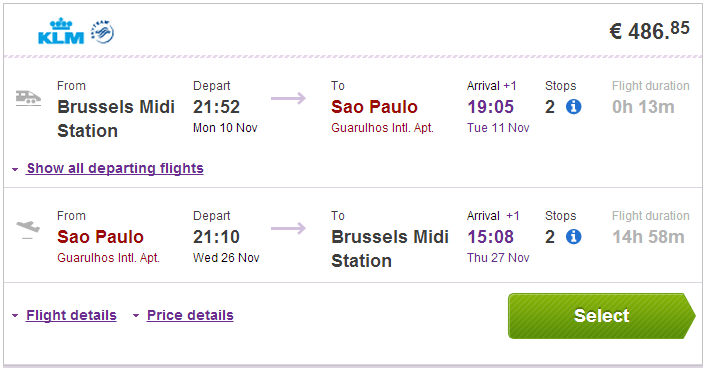 Regular price of flights to Brazil is around €800 so this is really sweet deal! Travel dates are from 1st November until 10th December 2014! You have to book your tickets until 27th October. « Cheap flights to Hawaii: Honolulu for only €694!